Ever tried kosho mangsho with kal dosa? 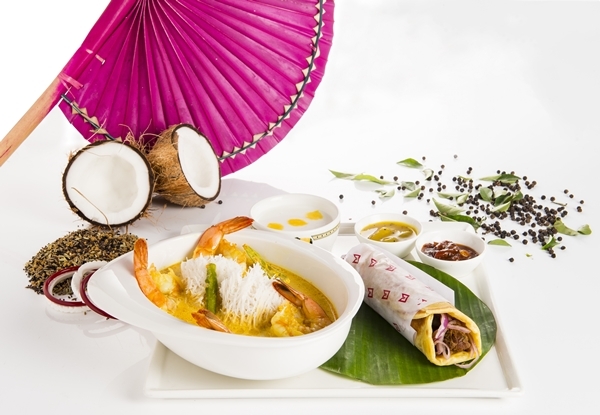 Or chingri malai curry with idiyappam? If the idea of tasting these dishes tickles your palate, head over to CafAi?? Mercara Express at ITC Grand Chola. The restaurant has come up with a fusion menu, available fortnightly, featuring dishes from around the world, but with distinct South Indian influences. The promotion, the first of which took place in January (Nat goes to Japan with Jitsu San), is designed as a six-part series. Ask to meet Nat, and they point you to a flier on the table, which depicts a bespectacled cartoon character, with the Howrah Bridge in the background. ai?? ?Meet Chef Natarajan, who will be showcasing Bengali cuisine with a twist, this month,ai??? says a smiling Ajit Bangera, the Senior Executive Chef at ITC Grand Chola, explaining, ai?? ?Our chefs at CafAi?? 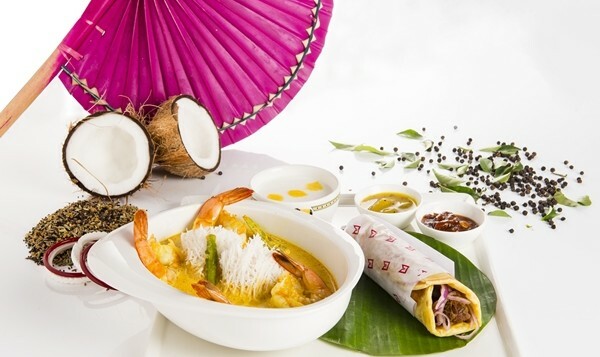 Mercara love to play around with local flavours that they taste during their travels, along with their native cooking style, which is South Indian. We wanted to bring all of that together into one single idea of a character that represents our experiments with fusion food.ai??? While Chef Natarajan is not real, a great deal of thought has gone into devising this concept. The inspiration is two-fold, reveals Bangera, elaborating, ai?? ?Firstly, we wanted to introduce the local population to the nuances of world cuisine, and secondly, we wanted to familiarise international travellers to the highlights of Southern comfort food.ai?? ?